Bringing Lincoln to Life: A Lecture by Richard Brookhiser: Wednesday, Nov 4th, 6:00pm at The A.W. Jones Heritage Center, $25 per person. The Society will host journalist, biographer and historian Richard Brookhiser. Mr. Brookhiser, a recipient of the National Humanities Medal, is widely known for a series of biographies of America’s founders, including George Washington and Alexander Hamilton. He has also written and hosted documentary films about Washington and Hamilton for PBS. Mr. Brookhiser will discuss his most recent book, Founders’ Son: A Life of Abraham Lincoln. To register, visit saintsimonslighthouse.org, or call 912-634-7090. The Canvas of History: Thursday, Nov 5th, 6:00pm at The A.W. Jones Heritage Center. Famed artist Steve Penley, well-known for his vibrant paintings of our founding fathers, will be putting the finishing touches on an original painting of the Historic Coast Guard Station at East Beach, the Society’s current project. The painting will be raffled to raise funds to purchase an artifact for the future World War II Museum. Raffle tickets are $50 each, and only 300 will be sold. The drawing will be held on November 5, and you do not need to be present to win. Tickets can be purchased in the Museum Store, or call 912-634-7090 for more information. First Friday in Downtown Brunswick: Friday, November 6th- Take a stroll down Newcastle Street & Gloucester Street in downtown Brunswick and visit the shops, restaurants and galleries that call the port city home. There will be live music from local musicians, restaurant specials and art openings. Historic Fun Community Appreciation Day: Saturday, November 7th, 10am-5pm at the St. Simons Lighthouse Museum- The museum doors will open to the community free of charge and they will provide a festival of events during the day, including themed docent-led tours, educational crafts and activities for children and families, performances by local groups celebrating coastal Georgia history and historic lawn games. For more information, please call Sandy Jensen at 912-634-7093. St. Simons Island Antique Show: Saturday & Sunday, November 7th & 8th in Postell Park on St. Simons Island- Antique dealers from across the Southeast will be under the oaks in Postell Park by the Pier. Admission and parking are free! The festival will be open from 9am to 5pm. The Farmer’s Market at Sea Island: November 14th from 9am-2pm in the parking lot of the Market at Sea Island- This event is now held on the second Saturday of each month, features a variety of fresh produce, artisan products, vendors, live music, and food samples. Second Sunday: November 8 12pm-5pm- This popular family-friendly music event will take place under the Sidney Lanier Bridge in Brunswick. Each month, the proceeds from Second Sunday benefit a variety of select local charitable organizations. Hundreds of music fans, families, friends – locals and visitors alike – who converge on the park armed with lawn chairs, blankets and coolers, enjoy listening to the live music. Raffle tickets are sold for door prizes contributed by area businesses. Kids can play in the inflatable bounce house and slides. Don’t miss out on this fun-filled community event! Click here for details. Jazz Vespers: Sunday, November 8th, 7:00pm at Frederica Presbyterian Church Presents John Lumpkin and the Covenant Jazz Vespers on Sunday, November 8th at 7:00pm. This event is free and open to the public. There will be fellowship accompanied by coffee and dessert. The McGladrey (RSM) Classic: Nov 16th-22nd. The McGladrey Classic is a PGA TOUR event played on the Seaside Course at Sea Island Golf Club on St. Simons Island, Georgia. The tournament is hosted by the Davis Love Foundation which was established by PGA TOUR pro golfer Davis Love III for the purpose of contributing to the well-being and progress of society by supporting both national and community-based programs that focus on children and their families. In just its first four years, The McGladrey Classic has raised more than 1.8 million dollars for children and family charities. The McGladrey Classic is named for title sponsor McGladrey and will be changing to The RSM Classic just in time for the event. The domestic entity, McGladrey, has adopted the name of its international brand, RSM, as of October 2015 thus prompting the renaming of this PGA event. Mistletoe Market: Friday Nov 20th to Sunday Nov 22nd. Join for this festive kick-off to the holiday season on the Georgia Coast! 70 talented artists and crafters with the perfect gift for everyone on your list will be featured, along with wonderful wreaths, holiday entertainment, children’s activities, and more. Join Joe Willie and Robbie Sue from 104.1 The Wave Radio as they start off the weekend with a bang! Santa arrives at 6:00pm and will be available for pictures until 8:00pm. Saturday morning begins with a holiday pet parade at 9:30am. Register your dog and be part of the fun, or come and watch the antics as the animals and owners parade through the Park! “Fun” awards will be given in several categories. You don’t want to miss the FREE concert by Michael Hulett on Sunday afternoon from 1:00 to 3:00pm. Come and listen to your favorite tunes, including Michael’s special performance of various Christmas numbers! For more information on this year’s festivities, please email: festivals@glynnart.org or click here. The McGladrey Classic Martina McBride Concert– Saturday, Nov 21st at 7pm. Come see music superstar Martina McBride in the Golden Isles perform live at The McGladrey Classic, an Official PGA TOUR Event, sponsored by McGladrey LLP, the leading U.S. provider of assurance, tax and consulting services focused on the middle market. To date, Martina McBride has had 20 top-10 hits, six No. 1 smashes and has sold 18 million albums. She released “Everlasting”, her twelfth studio album, last year. The Country Music Association has named her its Female Vocalist of the Year four times. The Academy of Country Music has presented her with its Top Female honor three times. The Recording Academy has nominated her for 14 Grammy Awards. See more here. The concert, presented by Southeast Georgia Health System, will take place on Saturday, November 21 at 7 p.m. at McKinnon St. Simons Island Airport. Two ticket options are available. A Saturday golf/concert combination ticket is available for $70, and a concert only ticket is available for $45. Tickets are limited and can be purchased here. 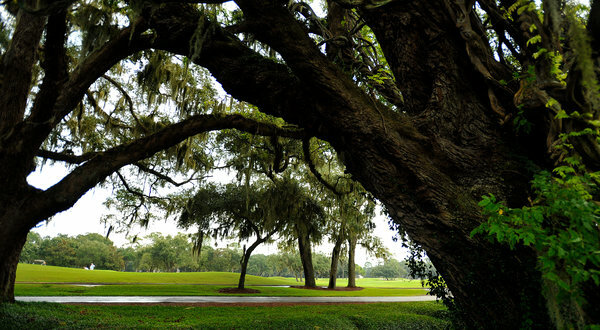 Every year, St. Simons Island plays host to The McGladrey Classic. This year the 7 day PGA event is on October 20th-26th. There are many events that take place over the course of the week for you to enjoy. 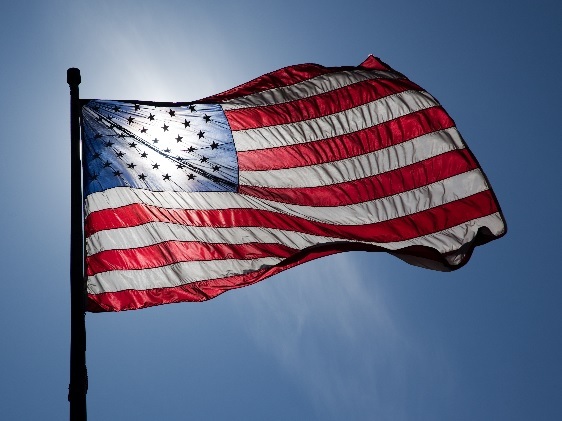 From a military appreciation day, to pro-am tournaments, to youth days and an evening concert featuring country music recording artist Darius Rucker, this is an event that the whole family can enjoy! Along with golf and music, the classic raises funds for local charities including The Special Olympics, The Boys & Girls Club of Southeast Georgia and the Birdies Fore Love Charities. Our resort is just 5 minutes from the tournament! To reserve your room for the event, visit our website. Or, to learn more about purchasing tickets to the classic or any events, visit the McGladrey Classic website. Three of the 12 players on the United States squad (Ryder Cup) live in St. Simons: Zach Johnson, Matt Kuchar and Brandt Snedeker, who is one of Love’s four captain’s picks. It seems crazy to consider that an island with a population under 13,000 has four residents participating in the Ryder Cup, and crazier still to contemplate what might have been. The Ryder Cup did not turn out in our favor, but life goes on, and St. Simons Island is proud to once again host the McGladrey Classic PGA Tour Golf Tournament this week at the Seaside Golf Course. Davis Love III, Zach Johnson and Chris DiMarco will be joined by 129 other PGA TOUR Professionals. The tournament takes place October 18-21, 2012, with a concert by country music star Gary Allan on Wednesday the 17th. Click here for more information. McGladrey Packages at The King and Prince! The McGladrey Classic to The Golden Isles! The King and Prince is proud to offer packages that include rooms, tickets to the event and more! Resort guests also receive a special golf rate at The King and Prince Golf Course, home of The Hampton Club.